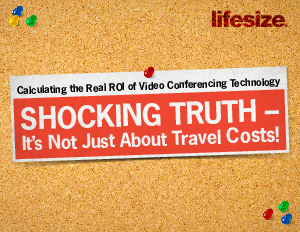 Sure, ROI calculators help distill anecdotal evidence and analyze cost savings associated with travel, but it usually goes something like this: total hours spent traveling + cost of hotel, rental car, and food divided by the number of meeting hours. Well, at least that’s one version. No matter the final number, the ROI total savings on cost of travel is only part of the story. Calculating the true ROI of video conferencing combines facts with real-life tangibles to help you understand and quantify your investment.